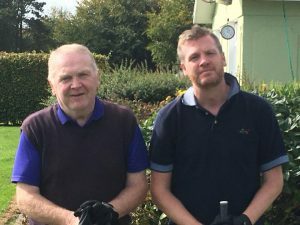 The Men’s Club Singles Final took place between Ned O’Flynn and David Hopper. It was a tight match with Ned eventually winning on the 17th hole. Congratulations to both players on reaching the final and well done to Ned on being club Champion .